Influencers are able to drive friends, family, and followers to take the desired action. People are more likely to listen and engage because they trust the influencer and find them to be authentic. Their opinions evoke high degrees of credibility and confidence from friends and followers. People don’t trust brands, they trust people. Consumer’s don’t want to hear what you have to say about your brand and products. They want to know what friends, family, and influencers have to say. With so many influencers, it’s easier to find individuals with values, messaging, and content that aligns with your brand’s mission. They are a cost-effective way to reach new audiences. The average cost per engagement is much lower than traditional media. They often have existing brand relationships based on purchase history and positive brand affinity. When their values are aligned with your brand, it’s easy for them to continue to promote your products after the partnership has concluded resulting in unpaid opportunities. Influencer will not only recommend or publicly support brand and products, but they often become ambassadors for the brand. When negative comments crop up on social media, they can step in to act as advocates and ambassadors to speak on the brand’s behalf. Working with influencers to create photography, recipes, how-tos, product intros, and Instagram Stories takeovers is a great way to develop brand-centric content. These assets can then be used on social media, your website, digital ads, email, landing pages, etc. It’s important to establish ownership of creative assets during the partnership agreement process. If it’s not spelled out in the terms of the agreement, you will have no rights to reuse or promote the content the influencer creates. It’s always beneficial to tag the influencer when reusing their content – even if you own it. This provides added value for both the brand and influencer. There are tremendous opportunities when it comes influencer marketing and brands need to evaluate how to incorporate this tactic into their marketing strategy. Here are two types of sponsorships we can help with in developing your influencer program. Sponsorships costs depend on the influencer level, management fees, partnerships stipulations, and engagement rates. Additional costs may include product cost, shipping, and any promotional offers. Influencer agrees to promote the product in exchange for product. Cost may include management, shipping, product cost, shipping and any promotional offers. PepsiCo partnered with us on a Naked Juice project to develop and test value-added fresh produce products. The Objective was to identify high appeal new product concepts using Pepsico fresh brands – Naked and Tropicana. The goal was for Pepsico to significantly expand their presence in the growing value-added/fresh category. We developed a merchandising approach to maximize retail presence and sales for Naked along with testing seven new product concepts. 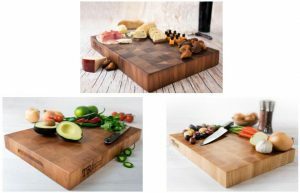 Two Rivers, based just outside Chicago, creates handcrafted, end-grain, butcher block cutting boards. When they came to The Zimmerman Group, they were just getting their business off the ground. We helped them by designing a logo and setting up their e-commerce website. We also shot individual product and beauty photography, and kickstarted their social media presence. You can see their beautiful boards at www.tworiversbutcherblock.com. As the agency of record for 10+ years for Pillsbury/General Mills Bakery Industrial Flour and Food Division, TZG helped develop Pillsbury’s branded lines of fresh bread/bakery products, which achieved national distribution with sales in excess of $100 million. We worked on the launch of over 50 new bakery products and were responsible for advertising, promotions, market research, collateral, public relations, and package design. One of the highlights of our work was developing the Pillsbury NASCAR program with both a trade and consumer component. We designed both the race car graphics and the driver’s uniform for Ward Burton. In-store consumer promotions and contests were used to generate consumer involvement and we hosted grocery buyers at multiple NASCAR events. TZG also incorporated Box Tops For Education to attract younger families to the brand and build brand loyalty. Your website is your storefront on the internet and is often the first impression people get of your business. Make sure it leaves them wanting more like the site we designed for Advanced Ozone Integration. Shelf talk is promotional signage placed at the point of purchase featuring information about the product and benefits. It draws attention to your product in the store and delivers your timely, relevant message. Unlike other advertising, shelf talk targets your category shoppers right at the moment they are making a purchase decision. Shelf talk improves your visibility when shelf placement, limited facings, or a crowded category are an issue. This strategy is especially effective when launching new product SKUs or expanding distribution of current products into additional retailers. We created this shelf talk program for SunButter to reach families during the back-to-school time period. 60% of schools restrict the use of peanuts/peanut butter due to food allergies. Our goal was to reach parents who needed peanut-free products to send to school, letting them know that SunButter was a school-safe, peanut-free choice. The program boosted sales by about 14% and increased awareness with a new market segment. When research showed delicious flavor and superior nutrition were significant drivers for SunButter purchases – we began to target a broader segment of consumers with this messaging. Below is an example of this messaging be used on shelf talk at Kroger.